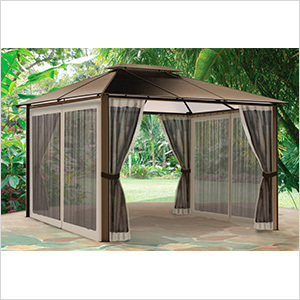 Add some privacy and protection against the elements and bugs with the Paragon Outdoor GZ3584N. Can be easily attached and detached. 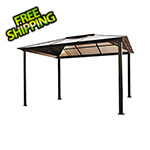 Provides shade from a setting sun. 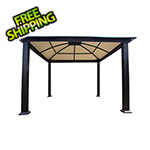 Creates the feel of a "new room" under your Gazebo. 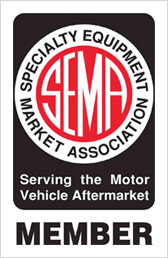 Made of UV resistant materials. 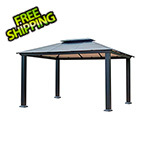 Compatible with the Paragon Outdoor Madrid (GZ620LS), Bermuda (GZ3584) and Santa Monica (GZ3) gazebos only. 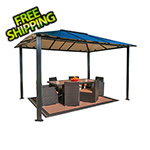 Paragon Outdoor 11 x 13 ft.
Paragon Outdoor 12 x 12 ft.